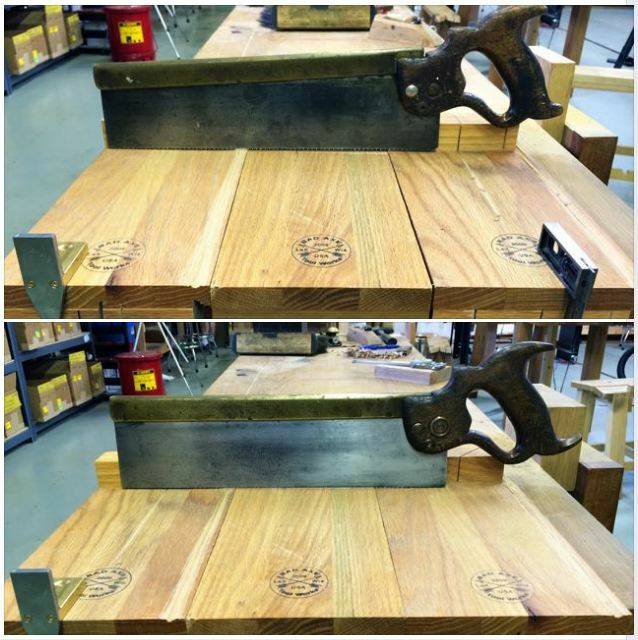 Mark Harrell, proprietor of Bad Axe Tool Works, has been working on a series of articles on how to restore a traditional backsaw. Right now, the articles are only on FaceBook, but he is working on getting them formatted into a page on his website, www.badaxetoolworks.com, in the near future. If you are not quite that socially pervasive, then you will have to wait for him to add it to his website. I will try and stay in the loop and get a link to you just as soon as it is done. On my end, I chatted with the guy who gave me the Ridgid planer dust hood to convert into a dust collection system for my bandsaw. Now I have pictures and the process explained, so I should be able to get into the shop and get that made up in short order. I’ll write something up… good or bad.